Plastoy Collectoys Resin statue based on the classic cartoons and comics about the blue Smurf. Fully carved and hand painted. The Smurfs (French: Les Schtroumpfs) (Dutch: De Smurfen) is a Belgian comic and television franchise centered on a fictional colony of small blue creatures who live in mushroom-shaped houses in the forest. The Smurfs was first created and introduced as a series of comic characters by the Belgian comics artist Peyo (pen name of Pierre Culliford) in 1958, where they were known as Les Schtroumpfs. 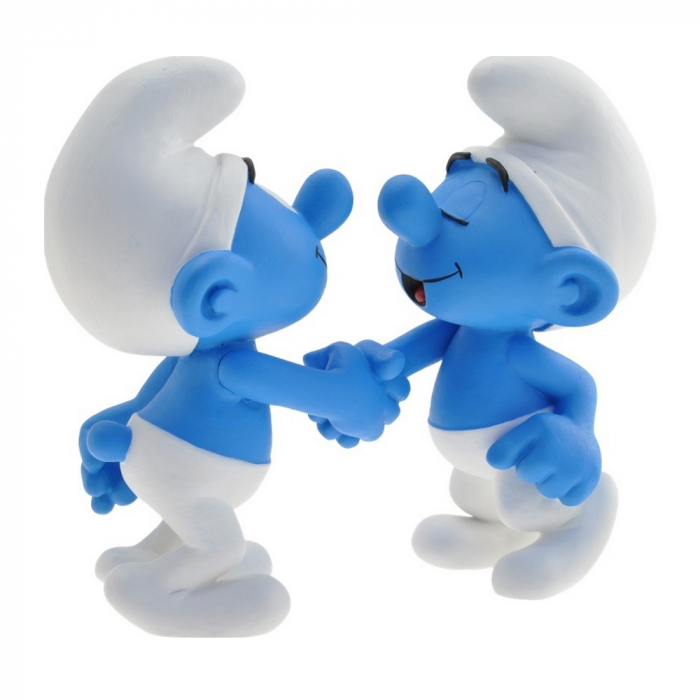 There are more than one hundred Smurf characters, and their names are based on adjectives that emphasize their characteristics, such as "Jokey Smurf", who likes to play practical jokes on his fellow smurfs. "Smurfette" was the first female Smurf to be introduced in the series. The Smurfs wear Phrygian caps, which came to represent freedom during the modern era.